"If It's The Beaches' Sands You Want, You Will Have Them!" 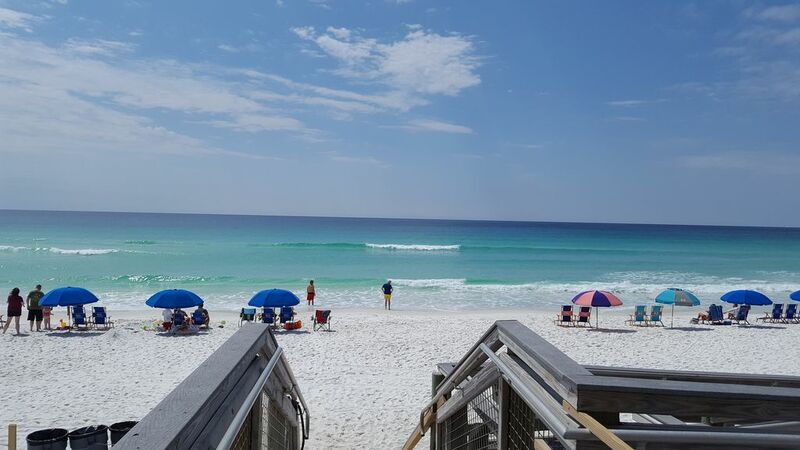 Shoreline Towers 2091 is a lovely 3 bedroom, 2 bath condo in the heart of Destin, just steps away from Destin's sugar white sands and emerald waters. You will enjoy beautiful ocean views from the balcony and guests' bedrooms. This 1800 square foot condo features a large kitchen with tile floors, granite countertops and stainless steel appliances. Open floor plan with fully furnished kitchen, dining, and living room. Shoreline Towers condo rental 2091 offers all the convenience of home. We would love to welcome you to our home away from home during your beach vacation in Destin, FL. Shoreline Towers is located in the heart of Destin with easy access to many of the family friendly activities that Destin has to offer, including Big Kahuna's water park and The Track! Shoreline Towers boasts a safe and secure direct beachfront location with amenities galore! Beautiful clean condo. A wonderful vacation! Great spot for a family trip! Our family of 5 enjoyed a 4 night stay at this Destin condo and we had a great time! There was plenty of space to spread out in the condo, fully stocked kitchen with a Target store and grocery story both close by. Decor is typical beach style - beds were very comfortable! This condo is ideal for a large group with kids. The kitchen is equipped to cook. We enjoyed our stay, especially the beach walks. Property is in a great location, close to everything. We had to come in a day late due to hurricane Michael, but the weather was perfect for our stay. The condo was roomy, clean. Nice furnishings. Plenty of towels. Loved the kitchen. The beds were firm but comfortable. I usually don't sleep well away from home, but slept great. We are definitely planning on staying again.